Looks like Arts District coffee lovers will have to find a new joint for their next morning cup of joe. 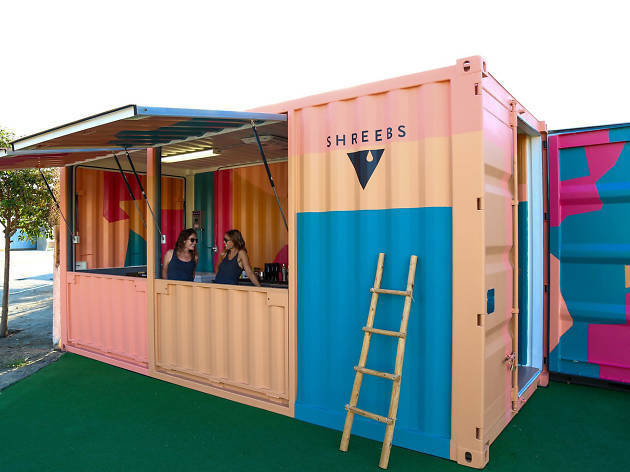 Instagram-popular mobile coffee bar and beloved pop-up shop Shreebs Coffee is back on the road again, bidding its Downtown digs adieu with a farewell party today from 8am to 4pm. Founder Casey Goch have always kept coffee-guzzling Angelenos intrigued, popping up in unconventional places around town—all the while fostering awesome connections and making damn good coffee. 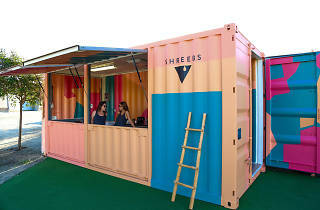 Drop by the colorful Downtown L.A. hot spot—located at 527 Colyton Street in a former shipping container decorated with a mural by artist Priscilla Witte—to celebrate the time well spent. Toast the next venture with signature coffee drinks like the Horchata (rice, almond, oat, cinammon, cane sugar, sea salt, olive oil), the Dark Choco Chili (dark chocolate, smoked chipotle chili, cane sugar) or a locally roasted brew. As for the next venture, that's yet to be determined—and based on the former locations of choice, we couldn't even guess if we tried.